TLS 1.0 and 1.1. TLS 1.0 and 1.1 are showing their age and security weaknesses have been cropping up for a while. Requirements for PCI compliance have mandated using TLS 1.2+ only since last summer and NIST best practices for TLS usage suggest moving away from older versions of TLS soon. LuxSci has been locking down dedicated customers that require use of only TLS 1.2+ for some time as well. In 2020, most major web browser vendors will be completely dropping support for TLS 1.0 and 1.1 as well. Web site hosting (i.e., what TLS versions your LuxSci-hosted web site will accept). SMTP Forced TLS. We will only support forced outbound TLS with SMTP servers that support TLS v1.2+. We may still support opportunistic TLS with legacy SMTP servers; however, we will no longer consider such communications to be secure enough for compliance. In general, most customers will not notice any difference. However, if you use old, legacy systems (or your end users do) you will want to be sure that you either (a) upgrade your systems, or (b) ensure that these systems will support TLS 1.2 for connections to LuxSci’s servers. 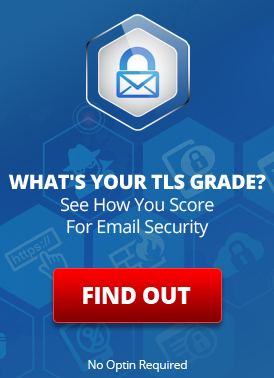 Check out our blog post that rates web browsers and email programs on their support for TLS. Look at the column “Revision 2 + TLS 1.2” to determine if your program +operating system will support TLS 1.2 with LuxSci. For customers with dedicated servers that do not have specific compliance requirements (i.e., HIPAA or PCI), LuxSci can leave your server supporting TLS 1.0 and 1.1 through December 31st , 2019. If you require this extension, please contact LuxSci technical support. This entry was posted on Monday, April 8th, 2019 at 1:47 pm	and is filed under New Feature Announcements. You can skip to the end and leave a response. Pinging is currently not allowed.